We are currently making our own recycle robots. We are creating these from recycled materials and will place them in the classrooms. We will then recycle old batteries, mobile phones and glasses. Please watch this space. If you have any spare bird feeders / tables at home and would like to donate these to the school please pop these into Miss Bayley. We also need seeds and fat balls (no nuts). This will help us to attract all the birds for the Big Schools Bird Watch. We have also received a donation from a local company for our Greener Schools Award. Some of the voucher has been used to buy bird feeding equipment. Well done to the eco team. All your hard work has paid off. We have achieved the Solihull Greener Schools Award! The Big Schools Bird Watch takes place this year from the 26th - 28th January. Next week the eco-councilors will install bird feeders around the school groups to help encourage a range of birds. They will then use the bird spotting sheet to discover which birds like to visit our school. If you would like a bird spotting sheet to complete this activity at home please ask Miss Bayley. We are taking part in Switch off Fortnight. The eco monitors are checking lights and boards around the school. We would like you to encourage your children to switch off lights at home. Please find a helpful homework pack. 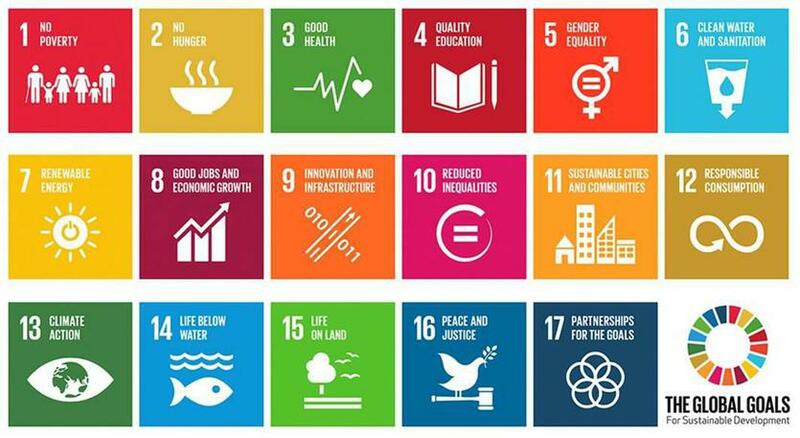 Eco-councillors have asked pupils to create their own superhero characters to represent one of these global goals. The entry can be presented on paper and in any medium. Please hand entries to Miss Bayley. This half term eco-councillors and gardening club would like to plant a variety of fruit and vegetables in the polytunnel. Any seed or plan donations would be appreciated. Eco-councillors will also update the eco school action plan. If you have any suggestions for eco projects please inform Miss Bayley. We are currently exploring 'litter' and 'animal homes'. We are taking part in the Big Schools Birdwatch. We would like to know about all the different birds you spot in your garden. Why not create a table and record your own results. Our eco councillors are creating their own posters to share around the school. We are also setting up bird feeders and tables to encourage a range of different birds to visit our school. We are taking part in 'Switch off Fortnight' project running from the 20 November - 3 December. Eco councillors have created posters which will be displayed around the school. We are challenging each class to turn off as many electrical items as they can when not in use. Welcome to the Oak Cottage Eco Council page! Eco-Schools is an international award programme that guides schools and pupils on their sustainable journey, providing a simple framework to help make sustainability an integral part of school life. Eco-Schools can help enhance the curriculum and get the whole school united behind something important. Our mission is to help make our school sustainable and to bring about behaviour change in our pupils and those connected to them so that good habits learned in our school are followed through into homes and communities. Every half term our eco councillors meet to discuss the ways in which we can improve our school. The children take part in litter picking, energy saving programmes and will often lead assemblies and run competitions. Our projects always involve the whole school and wider community. Last year we were extremely proud to have been awarded the ‘Green Flag Status’. Our hard work and dedication means that our school continues to recycle, reduce and reuse.